Curry Lovers joined our Mission to help provide access to “Clean Water for All by 2030”. This Mission was initiated by the United Nations. A big thank you to Curry Lovers’s team and customers for joining this extremely important mission on 28 November 2017. 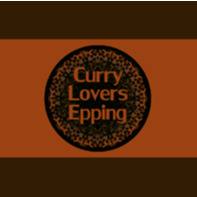 We here at CURRY LOVERS wish to offer you a delightful and satisfying culinary eatery experience. Enjoy the extraordinary health benefits of our Indian cuisine, due to our generous use of exquisite organic spices like Turmeric, Saffron, Tamarind, Garlic, Ginger, Pomegranate Seed and Fenugreek leaves . We invite you and your loved ones to try our opulent Indian delicacies at our beautiful and cozy restaurant at Epping, Sydney. From North Indias classic Rogan Josh to South favorite Goan Salmon curry and fresh Indian breads baked in clay oven, enjoy it with a traditional Indian beverages or a glass of our fine wine. Enjoy and be healthy.